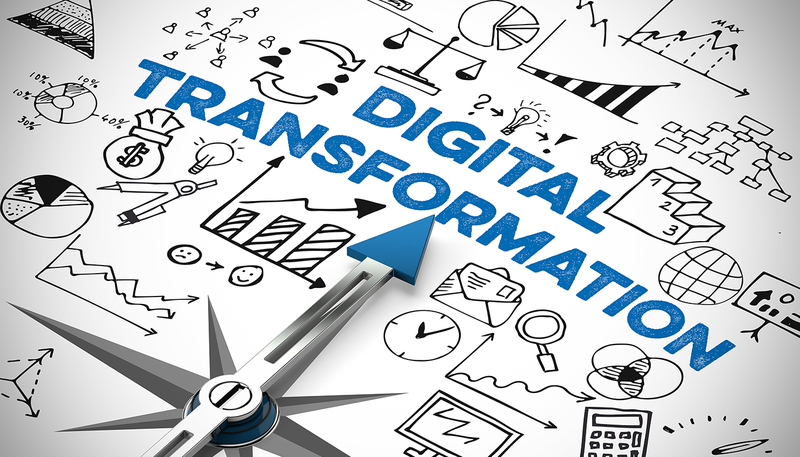 Digital transformation is one of those catch-all concepts that you find turning up in all kinds of discussions these days. It’s not a strategy and it’s not a plan, although it’s often confused with both. I usually describe it as the retooling of organisations to new technologies that automate form-based business processes (paper, PDF and simple web forms) with smart forms that connect directly to mobile, web, CRM and ERP systems to create business efficiency. The fundamental promise of digital transformation is that organisations can create more customer value and lower costs, all while improving a customer’s online experience. When it comes to getting started, the management decisions around digital transformation centre on how much money to invest, and how fast and how far changes should be made across an organisation to capture the optimum benefits. One approach is to create large, complex transformation projects that re-engineer the organisation in a short period of time. The other is to look at iterative steps that can deliver big changes, but without the upfront price tag and inherent financial, reputational and political risk of big projects. One area that can drive significant value through low-risk iterative changes is improving how an organisation captures and processes transactional information. It sounds obvious but control over information lets organisations create and deliver customer value; a core driver for digital transformation in the first place. The advent of information capture and workflow solutions, including smart forms, combined with most people’s preference to interact online, is opening up new opportunities for organisations to lower costs, improve the customer experience and increase efficiency. It also lends itself to iterative adoption. It’s relatively straightforward to replace manual information collection with smart, intuitive online forms that interact in real-time with other data systems such as CRM, accounting and finance, HR and others. In particular, business processes fall into three core areas, which could be addressed individually to find improvements. These areas are: operational or primary processes, where customer value is directly delivered through transactions; support or secondary processes that are not part of the direct customer interaction, but are necessary to run the organisation; and management, which controls information required to make decisions needed to run the organisation. Users can collect, validate, update, or review information in online forms from a variety of devices. This reduces errors, cuts down or eliminates manual processing, enhances information security and enables real-time updates to central systems. Knowing inventory levels, confirming customer information or logging orders in real-time, for example, is incredibly powerful. This kind of experience is also increasingly expected by customers and employees alike. At an organisational level, the challenge is working out which manual processes should be digitised and automated, with smart form technology first. Once you start looking at places where manual, error-prone, slow information collection points could be replaced, you will see opportunities for improvement everywhere. It can be overwhelming. One way to sort through priorities is to base decisions on what information and processes impact customers most. What is the most valuable information you could produce to create exceptional customer value? What is the best way to deliver that information? What is the best way to collect or create that information? What information collection and management processes cost us the most (hours, errors, real dollars)? What processes are the simplest or easiest to move to a smart form solution? Building maps or tables that describe, weight or score all of these will let you identify the areas where the most positive impact will be felt fastest, and can inform your overall plans. Automating information management and introducing smart forms can yield significant improvements quickly, but without the inherent risk in big transformation projects. In our experience, there are plenty of places to start.